Micromax Mobiles unveiled its new flagship device Canvas 4 in Indian Market. 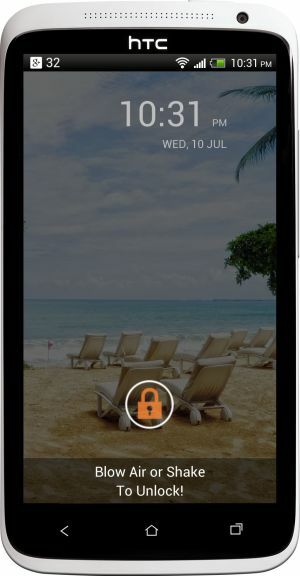 The Canvas 4 has everything you can find in high end phones but the feature that gets limelight is the Blow Air to Unlock lock screen or Shake phone to unlock lock screen. Minutes after the launch, this feature created lots of Buzz among the users. The Blow to unlock feature will unlock your phone when you blow air on your home screen. Another way to unlock the phone is by shaking your phone. Developer extracted app from Canvas 4 and now you can install this app in any other phone. Go to Settings > Security and check ‘Unknown sources’ to All installations of apps from unknown sources. I’ve tried this app on my HTC One X and it’s working perfectly.